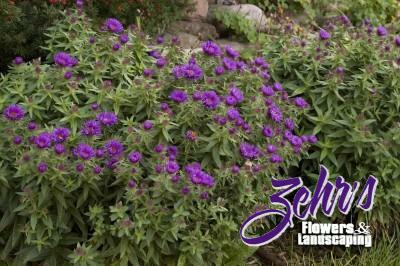 This cultivar forms a beautiful solid purple mound 18" tall and 36" wide. The flowers are semi double, 1.5" wide, and cover the plant in early fall. The compact habit of this variety makes it a standout in the fall garden. Performs best in full sun and well drained soils.